HopStop, acquired by Apple in 2013, serves transit directions to 113 U.S. cities, while Apple Maps in iOS 9 will serve only six. Apple-owned transit app HopStop will no longer be available starting in October, according to a notice on the HopStop.com website. HopStop will shutdown two weeks after Apple is set to release iOS 9 with new built-in transit directions in Maps. But whereas HopStop has public transit directions and routes for 113 U.S. cities, Apple Maps will have transit directions for only six U.S. cities: Baltimore, Chicago, New York City, Philadelphia, San Francisco, and Washington D.C. At least Apple users in China will be happy. In additional to the six American cities, Maps will support transit directions for 300 Chinese cities. 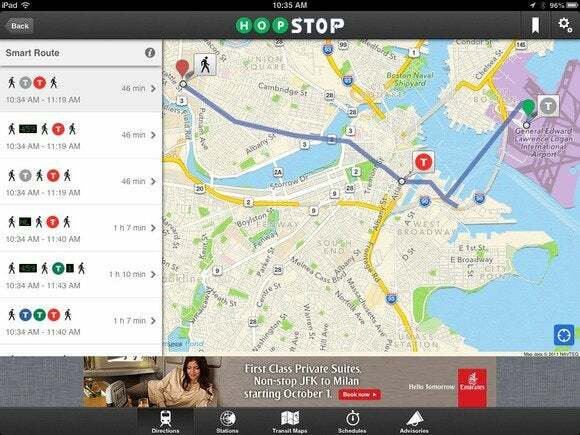 HopStop first launched in 2005 and was acquired by Apple in 2013, shortly after the the lackluster and much-ridiculed native Maps apps debuted in iOS 6. Around that time, Apple also acquired transit app Embark and local business data startup Locationary to boost its mapping and location services to be able to rival the superior Google Maps iOS app. Apple’s shutdown of HopStop means that the tech giant wants iPhone users to rely on native Maps to get around, as opposed to another branded product. This is a different strategy than Google, which acquired Waze, incorporated its data into Google Maps, but also kept Waze around as a standalone app. Why this matters: The transit update in iOS 9 marks an important step for Apple and its Maps service not having to rely on third parties, like HopStop, to provide such a core smartphone functionality. But transit in Maps is still a very new feature (iOS 9 is not even out of beta yet, launching officially on September 16), and shutting down HopStop this early in the process seems a little premature and coulld leave a gap in public transit reliability on mobile. Unless, of course, Apple is planning to bring transit directions to a lot more U.S. cities soon—maybe 100 more!—by baking HopStop’s data into Maps. In 2008 when Google Maps first incorporated transit directions, it launched the service in over 100 cities around the world. Today, Google Maps boast public transit directions in over 18,000 cities.